The gifting season is upon us! Get a head start on your holiday lists with our favorite finds around town. Whether you’re shopping for loved ones, co-workers or a special Secret Santa, our curated guide features unique ideas that’ll help you find that perfect something for even the hardest-to-shop-for on your list. With a selection of items for people of all ages, this is just a preview of the holiday shopping that awaits at the many boutiques and specialty shops that make our community thrive. Happy holidays! Winter is coming, and with it, cooler temperatures and a few extra layers to your outfits. But seasonal dressing can be tricky, especially in Los Angeles, where the winter chill creeps in slowly. Luckily, Riverside Drive staple Rose & Sage has just the stocking stuffers to help our near and dear ones transition their wardrobes with ease. Owner Soraya Ardakani suggests lightweight cold-weather accessories like pom beanies and shawls that add a touch of warmth to any outfit. She also recommends stylish accents like faux calf-hide mules and cross-body bags in deep, on-trend hues to add a finishing touch to any ensemble. For beautiful floral arrangements with a little something extra, Sherman Oaks–based Orchid Republic Floral Boutique features bountiful bouquets that double as luxurious gift baskets. Choose from a permanent collection of orchid, succulent and floral arrangements paired with an array of perfumes, candles and lotions from brands like Jo Malone, Diptyque and Nest, plus sparkling champagnes, wines and more. With local delivery available, you can conveniently schedule and send multiple arrangements swiftly this season. To add a personal touch, owner Carmela de Castro says you can create a custom arrangement with your choice of flowers and gifts. For a one-of-a-kind gift, treat someone to a make-your-own-scent experience at Phoebe Peacock in Magnolia Park. Whether you’re looking for something floral, sweet or musky, perfumer Jennifer Hardaway will work with you one-on-one to create the perfect blend. A classic perfuming session begins with smelling, mixing and testing combinations of aromatic notes from a wide selection of essential and perfume oils. Once the desired mix is perfected, the blend is poured into a rollerball or bottle, named and kept on file for future refills or to be infused into lotions, body washes and candles, all made in store. It’s no secret that our community loves its hobbies. We’ve met many people who have talked excitedly about their expansive collections of trains, die-cast replica cars and model airplanes. This season, add to a hobbyist’s collection or help an aspiring one get started with plastic model kits and the supplies needed to build them from Burbank’s House of Hobbies. Owners Glen Bergstrom and Ken Mataya say that many old-school collectors look for models or build-ups of sports or exotic cars. For children, they recommend snap assembly plastic models for an easy, no-fuss introduction to the hobby. Advanced builders may reach for more challenging projects, such as Gundam and Star Wars models, that require not only building, but also painting and applying decals. Shopping for the person who seemingly has everything or looking for an experience to enjoy with loved ones? Give the gift of live entertainment. 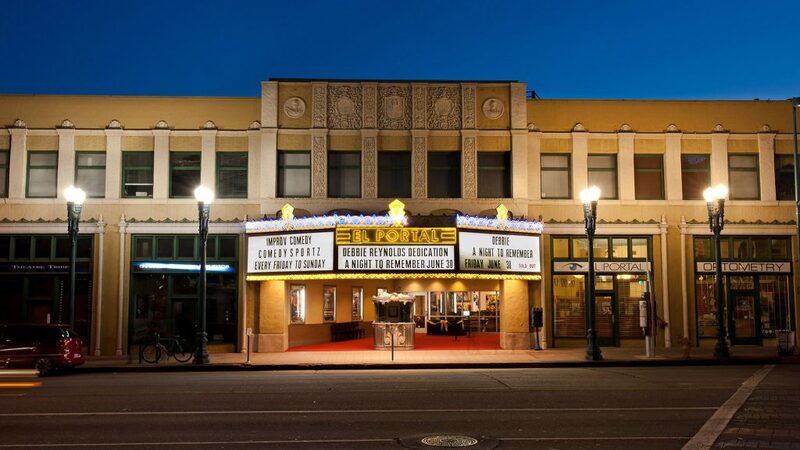 The historic El Portal Theatre is the perfect destination for a night of music, drama or dance in the NoHo Arts District. Tickets are available now for the Troubadour Theater Company’s annual holiday show, The Year Without a Santana Claus, a Carlos Santana–themed musical extravaganza running December 8–30 on the Debbie Reynolds Mainstage. Keep an eye out for tickets for the 2019 season; anticipated shows include a rendition of Mozart’s The Magic Flute by the Pacific Opera Project and the original ABBA Mania tribute direct from London’s West End. Pajamas are the ideal holiday gift — they’re comfy, come in a variety of styles and are perfect for cozying up on the couch on chilly days. Studio City–based Little Sleepies checks all the boxes and then some with its line of buttery-soft bamboo children’s sleepwear. Owner Maradith Frenkel designs these cheerful pajamas with fashion and function in mind. Rompers seamlessly convert into footies with built-in fold-over cuffs, double zippers make diaper changes a breeze, and there are no tags or snaps to irritate skin. This season, check out rompers and two-pieces with holiday prints for kids. 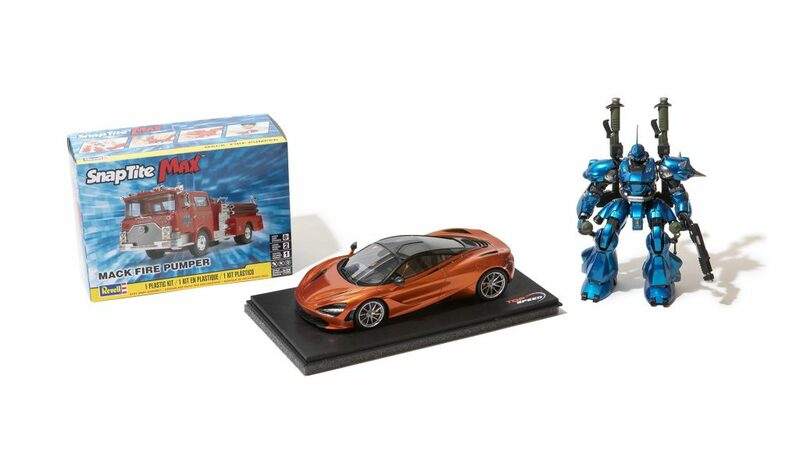 There’s also a limited-edition set available for adults who want in on the fun. 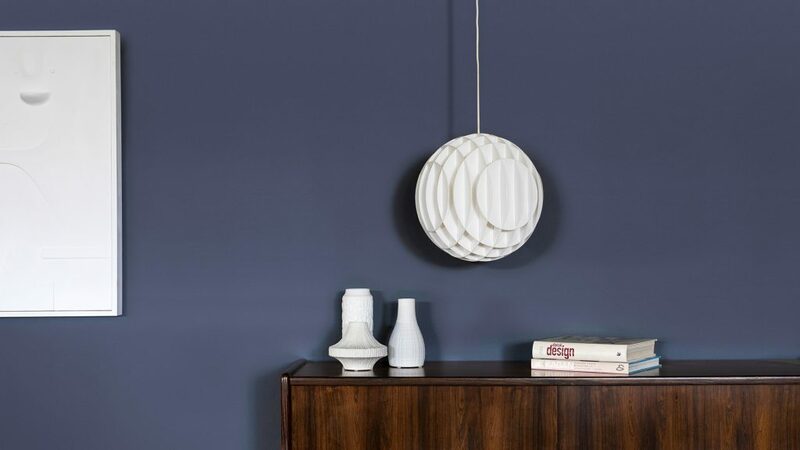 Specializing in European/Scandinavian and American midcentury modern vintage furniture, lighting, pottery, art and design, MIDCENTURYLA is a neighborhood gem for scoring sophisticated minimalist home goods at accessible prices. While there’s plenty to explore in the North Hollywood warehouse showroom, which features a rotating inventory, owner David Pierce says a sure bet this season is vintage ceramics. With a large selection of ceramics and pottery — including artisanal pieces made in England and bone china made in Germany from the ’60s onward — there are different shapes, sizes and patterns to choose from, and each item is certified authentic, so you can gift beautiful, functional pieces of history. No holiday is complete without some delectable sweets. Make your indulgences worth the calories by opting for something fresh and locally made — like the buttery, chocolatey confections from neighborhood favorite Truly Toffee. 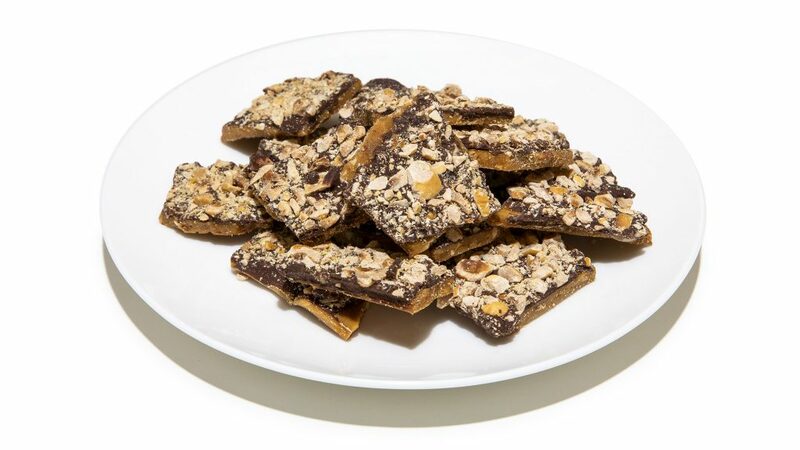 Handmade in small batches in Toluca Lake, Truly Toffee uses the finest ingredients possible (think farm-fresh butter, premium nuts and Belgian chocolate) in its tantalizing toffee treats. Local residents and owners Han, Evie and Brian Moeljadi normally focus on large corporate and custom orders, but this season they’re opening up to all. Check out their 6- and 12-ounce dark chocolate hazelnut and s’mores flavors packaged with festive bows and holly for a delicious gift — no wrapping required. Nestled among the stretch of specialty shops in Tujunga Village is Serendipity Gift Store, a whimsical boutique that lives up to its name. You’ll find a treasure trove of giftables for people of all ages, including jewelry, stationery, toys, books and tabletop accessories. Each item is handpicked by owner Ashlan Christoph, whose distinctive taste and style permeates the store. 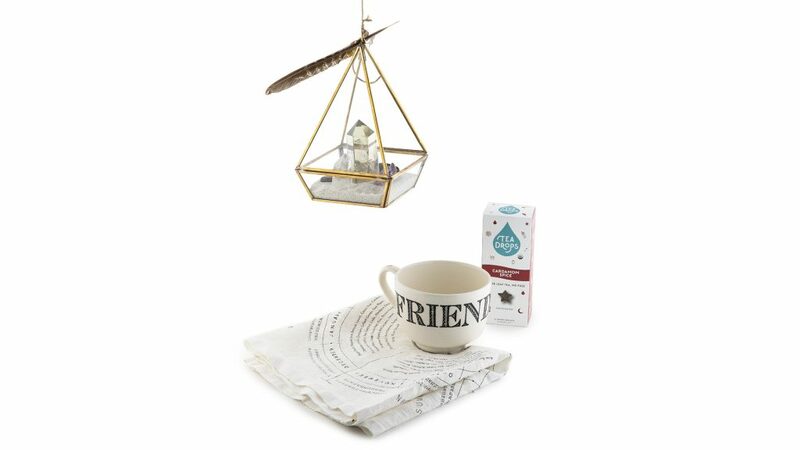 Her top gifts for the season are custom crystal terrariums filled with your choice of wellness-enhancing crystals, and tea sets complete with tea sachets, a mug and a printed tea towel. Check out “Festive Finds” for even more gift-giving inspiration from businesses in and around our community.